Living your life in balance is no longer a struggle at our Chiropractic Wellness Center. We provide chiropractic care, yoga, meditation, massage, acupuncture, reiki, and physical therapy all under one roof. In order to bring more holistic, meaningful change to our patients we want to solve three problems; lack of time for self-improvement, western medicine not providing enough preventative measures, and the disconnection from the use of technology. By bringing more collaboration and complementary services under one roof we can conquer all three problems to bring real, lasting positive change to our patients and this world! We believe in bringing mind, body, and spirit health to the forefront of our community in a thoughtful and convenient way. Time is precious so we have created a space where you can seek chiropractic care, physical therapy, get a massage or acupuncture, join a yoga or meditation class, and reap the benefits of reiki all under one roof. 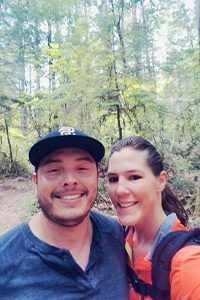 My name is Dr. Ryan Enriquez and I’m a graduate of Life Chiropractic College West, which is located in the San Francisco Bay area. During my time in the Bay area, I was awarded multiple clinical awards for patient care. 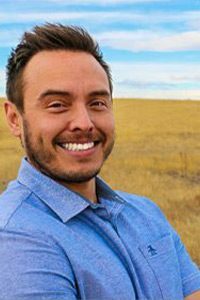 I am dedicated to serving the Northern Colorado community with the chiropractic adjustment and principle, and I’m always striving to improve my skills and understanding of the human body. I am certified in Rocktape’s Fascial Movement Taping 1 & 2, and I am trained in techniques such as MLS, Upper Cervical Knee Chest, Activator, Thompson Drop Table and Diversified — just to name a few. My skill set can accommodate any patient, ranging from the young and healthy athlete looking to improve their performance to the person who suffers from chronic pain and is ready to live a normal life. functional standpoint to properly diagnose and stop the repetitive injury cycle. I enjoy spending my spare time with my family, hiking, working out and exploring all the fun and beauty that Colorado offers! Namaste, my name is Amanda Kellogg-Enriquez. I am a yoga teacher and co-owner of Source Studio. I started my yoga and meditation journey 13 years ago. I felt tired, unbalanced and wanted more out of life. I was also dealing with recurring injuries from my duathlon and triathlon days while battling a Lupus diagnosis. I seemed to wake up feeling negative, frustrated, and truly lost. I began to suffer from anxiety and depression. I did some serious soul searching and started taking yoga and meditation classes. I felt drawn to the spiritual and body healing they provided. I began to notice subtle changes in my overall outlook on life. The almost-crushing joint and muscle pain began to shift and slowly subside. I noticed that on the days I would practice yoga and meditation I felt more present, healthy and grateful. My mind and body began to crave the stillness and movement of yoga and meditation. I knew that one of my life purposes was to share these gifts with others who share a similar story. I graduated from Holistic Yoga School in Fort Collins, Colorado. This is a highly accredited program and in 2018, they won the “Expertise” award. I completed the 200-hour Intensive Training Program. This was one of the most challenging yet rewarding months of my life! I would like to continue my education in the near future with an additional 300-hour program. I am (RYT) certified and registered with Yoga Alliance. My husband and I own Source Studio in Loveland, Colorado. Within the next nine months, we will open a wellness institute that will provide chiropractic, yoga, meditation, acupuncture, massage, and hopefully, IV drip therapy. We believe in providing affordable holistic healing to those who want mind, body, spirit balance and health. Wellness and healing begin when we decide enough is enough and start believing we have the power to change our lives. Say hello and take a yoga class with me at Source Studio today! Our yoga studio in Loveland offers gentle and restorative yoga classes for individuals of all levels. My mission is to empower others by providing a space to connect with self and strengthen the mind, body and spirit through the holistic practice of yoga. In addition to the many valuable health benefits of yoga, one aspect stands out: Accessibility. This is a practice which utilizes one’s own body to strengthen itself — weights, bands and other tools aren’t necessarily needed. As long as the mind, body and spirit are willing, the body is able. Crissy Saunders is a Registered Yoga Teacher (RYT) with Yoga Alliance, which acknowledges the completion of a yoga teacher training with a Registered Yoga School (RYS) and enjoys instructing Hatha yoga, Gentle yogas, Vinyasa yoga and Children’s yoga. I look forward to the opportunity to support your healthy and happy lifestyle. Say hello and take a yoga class with me at Source Studio! Our yoga studio in Loveland offers gentle and restorative yoga classes for yogis of all levels. Alicia Lipinski is a 200 RYT Yoga Instructor, as well as a reiki master, intuitive healer, herbalist, wellness coach and meditation teacher. She received her yoga certification in 2011 at Rising Lotus Yoga in Sherman Oaks, CA, where she was trained in Vinyasa Flow, Iyengar, Therapeutic and Restorative Yoga. Since then, she has taught weekly classes, led workshops and retreats, and designed personalized wellness programs for some of LA’s top yoga and meditation studios, as well as for private, corporate and celebrity clients. 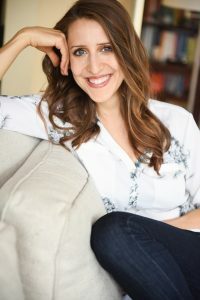 While working a highly demanding job in film and television development for 15 years, her yoga and meditation practice helped her manage chronic stress, find balance in her busy life, and tap into the deep well of wisdom and creativity within. It also helped her to heal herself from the inside out and discover a deep passion for empowering others to do the same. 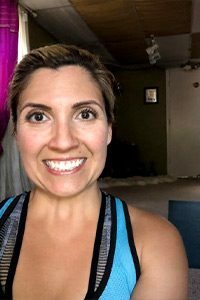 She strongly believes in the importance of using the practice to link the body, mind, breath and spirit, and she loves to incorporate philosophy, breathing exercises, guided meditation, aromatherapy and energy healing into her classes to help students connect to their truest Selves on all levels.